I am on my way home from a visit to Tacloban, in the Philippines, one of the country’s most damaged districts following the carnage caused after Typhoon Yolanda swept through some of the nation’s poorest communities last November. The Philippines has been classified by the World Bank as a “lower-middle income” economy. Middle-income economies are those with an annual GNI (gross national income) per capita of more than $1,045 but less than $12,74. Other countries in Asia Pacific who share this classification with the Philippines include Vietnam, Sri Lanka and Indonesia. “Upper-middle income” economies nearby can be found in China, Malaysia and Thailand, whilst the likes of Cambodia and Myanmar are “low income” status. Meaning that, on the surface of things, the Philippines’ economic gains in recent years, and its growing numbers of new middle-class citizens, represent an optimistic narrative. Its capital city, Manila, stands as a beacon of commercial potential to the private sector, host to a recent World Economic Forum summit, home to some of the world’s most famous, and infamous, global retail brands. Busy, built up, urban Asia. Opportunistic, dynamic but, in fact, wholly deceiving. Twice as many Filipinos live in poverty than the entire population of Cambodia. Inequality is rife in the Philippines and, throughout much of the country, infrastructure and access routes to market for the majority of the 100 million population are inadequate. Whilst the Philippines is brimming with people wanting to buy things, as one of the companies I met earlier today described: “this is a nation of materialistic consumers, but no one has any money”. 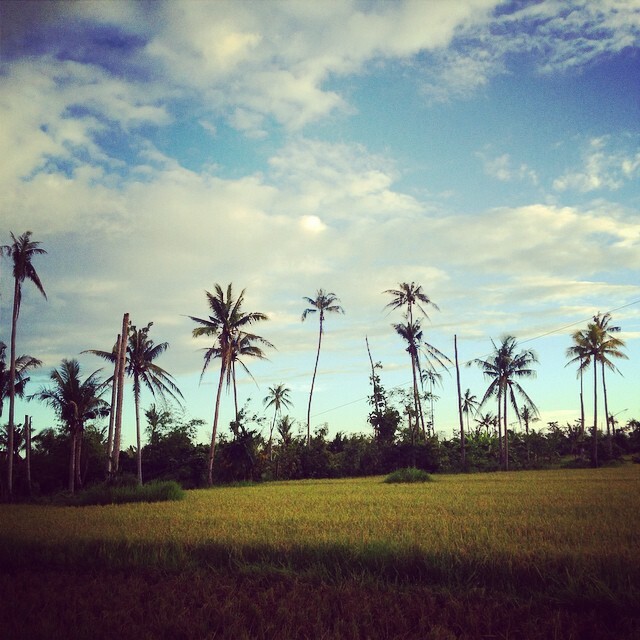 Yolanda destroyed 33 million coconut trees, and with them the livelihoods of thousands of Filipinos. To replant and grow back the trees takes 8 years. Perhaps the most striking statistic is that the Philippines is the third most seasonally affected nation on earth, in terms of disasters (the islands of Tonga and Vanuatu are the only countries ranked as more vulnerable). Typhoon Yolanda underscored this statistic with harrowing impact on November 8th 2013. Recorded as the largest ever storm to make landfall, Yolanda displaced millions of Filipinos and changed their lives forever. My visit this week was to witness how NGOs such as CARE International had been involved in providing humanitarian assistance following the typhoon. What I saw both inspired and angered me. ‘Inspired’ because in the critical moments after a disaster on this scale, anyone intervening is in the business of saving lives. Tarpaulin, water, food, medicine. Survival is paramount. And the resilience that people demonstrate in the face of such moments is awe-inspiring. 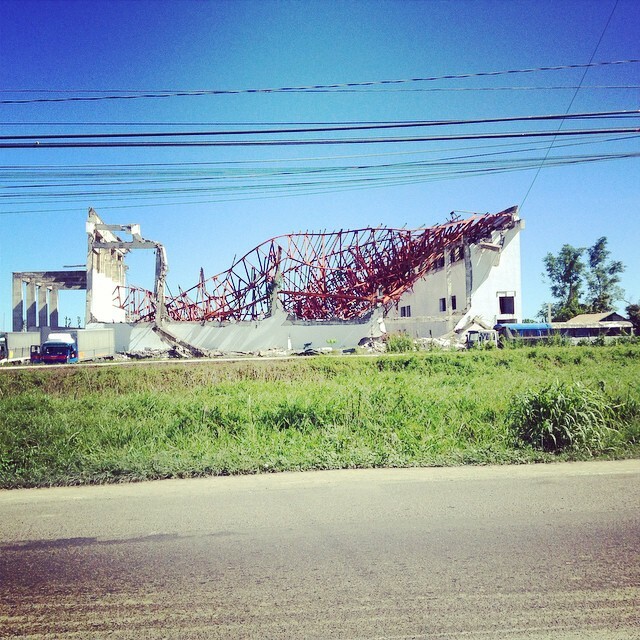 The force of Yolanda destroyed buildings of all sizes. If you have ever built a den in your back garden, then you are not very far from the reality that faced the many hundreds of thousands of people in places such as Tacloban last November, during the days after Yolanda struck. Pitching a tent to house your family temporarily, not knowing when the next storm might hit and then, with help, and during the next phase of recovery, turning this into a wooden structure, and being given the equivalent of $50 by an NGO such as CARE to purchase livestock (pigs, chickens) to produce eggs and meat and to sustain your family. These were, and remain, the realities for the people I met this week. 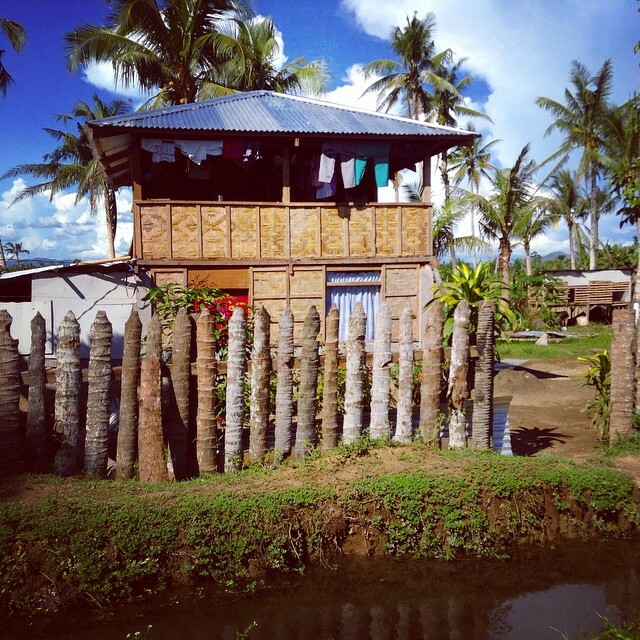 And whilst CARE’s “Build Back Safer” campaign for rural households continues – designed to provide sturdier structures and a model where the community themselves are in control of the rebuilding work – many people in Tacloban are still without proper shelter. Similarly, whilst CARE successfully trained people to take on new livelihoods, such as rearing livestock, helping put them back on their feet, there remains a significant challenge yet to ensure rural populations improve their resilience for when another inevitable disaster strikes. Many people I met in Tacloban are now getting by earning $3-4 a day through these new and alternative livelihoods (barely qualifying them to hit the annual $1,000 World Bank ceiling to make it above low-income status) but are they financially prepared for the next “shock”? 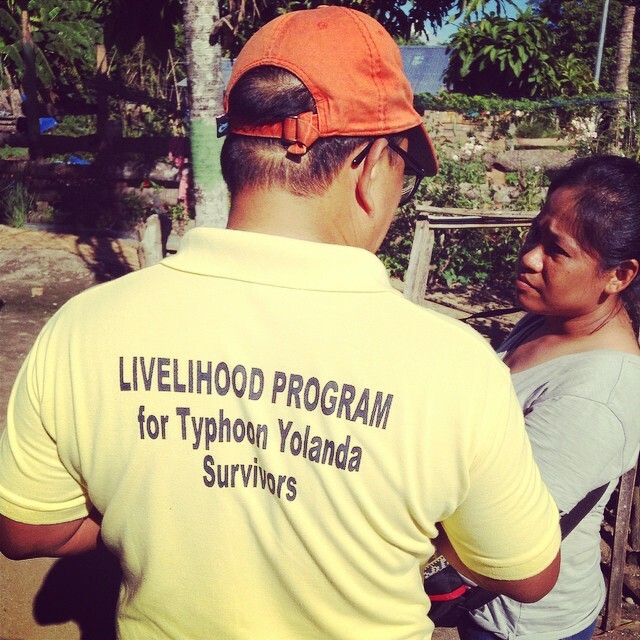 What was eye opening to realise when meeting men and women supported by CARE’s programmes, was that even before Yolanda, the majority of households in these areas had very little income earning enterprises to rely on in the first place. The typhoon set them back further still, and many are living today in desperate need. Outside our guest house in downtown Tacloban, a family of four slept overnight on the street – the mother’s arms and legs as best she could intertwined between her three young children’s, in an attempt to provide them with the only shelter she had available to her. Nearby, we saw a landed ship, flung over as it was in the tidal surge during Yolanda and killing scores of families. The clean up operation here is far from over in the centre of town, let alone in the hard to reach rural areas where the storm winds were just as merciless. 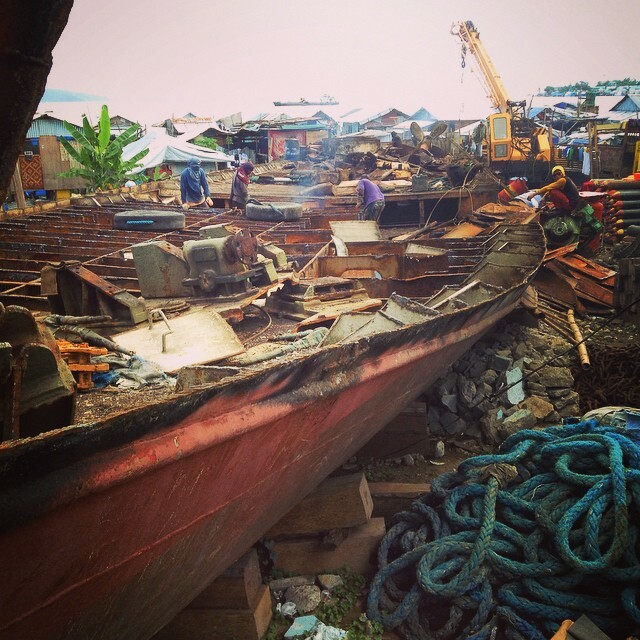 Dismantling a ship blown inland by Yolanda. During one of this week’s project visits I met Nelly, aged 64. Nelly is a widow, and a grandmother to a ten year old boy who lives with her. She explained, however, that her own son is too ill to work in the fields and she wept when telling us her story, because of her worry that her grandson is not getting the nutrition he needs. Nelly went on to explain how she can barely afford to provide rice and salt for their second and final meal of each and every day, only to then have to boil up the remains to create their breakfast for the next morning. Nelly wants to be able to earn a few dollars a day to buy vegetables. Not unreasonably, she also wants to flatten the floor of her newly erected house so that sleeping on it each night is slightly less uncomfortable. Millions of Filipinos, bringing up their families, are set back again and again by nature, but also by being casualties of these income related certifications made by global institutions, whose “middle income” labeling is now seeing swathes of international donors pulling their investments out of so called middle income geographies. Across Asia Pacific, we are now witnessing the greatest exodus of international aid through one channel, whilst in through another marches a convoy of international multi-national corporations, selling products, procuring goods, and employing large work forces. Countries in this region are racing towards industrialised states, and are negotiating trade related deals with some of the world’s largest companies, but at the great expense of leaving behind the majority of their populations. We know that countries such as the Philippines will continue to be afflicted by typhoons and cyclones, by storms and by floods, and so helping encourage resilience programming, and engaging the private sector in development issues, are two things that CARE will continue to pursue in the face of such dynamics. 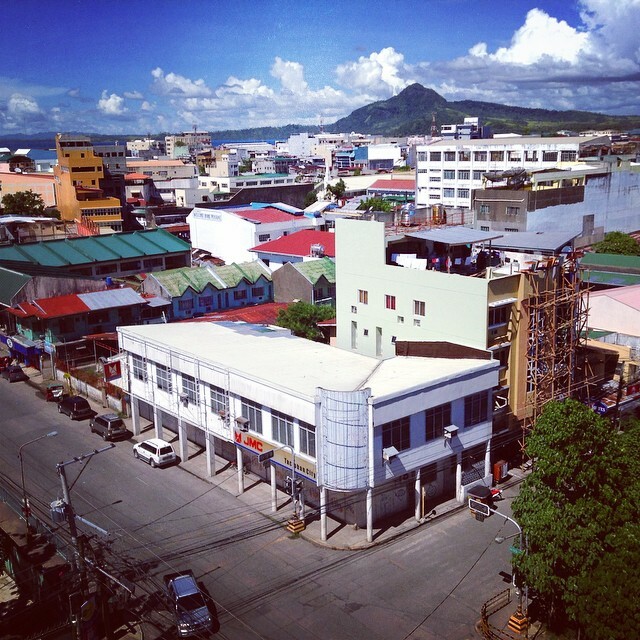 Whilst income classifications will never give the full picture of the Philippines, and will only serve to be inconclusive and hide the realities, we need to do much better at telling the stories of people in places like Tacloban, as each story then flaws the argument for overlaying a classification of any kind. Let’s not get hung up playing off degrees of poverty between nations, guided by GNI statistics, it is simply nonsensical to create a world hierarchy representing “progress” where gross national income trumps all other criteria. Building Back Safer. 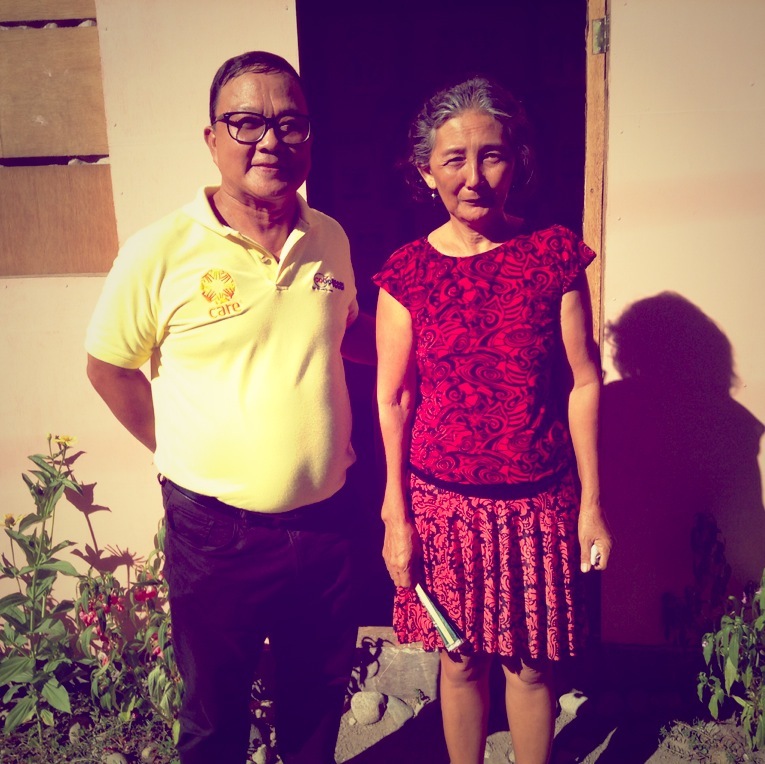 A new structure in rural Tacloban supported by CARE.